With so many respectable Android smartphones packed to the teeth on Verizon’s lineup, it’s very hard for devices released more than 3 months ago to get any visibility, though, pricing can quickly turn things around for most devices. And rightfully so, that’s the spot where we find the Motorola DROID Pro now that Big Red has reduced its priced to $99.99 with a 2-year contract online. It’s not clearly known if the price drop is permanent or simply a weekly sale, but it’s still a decent price for a top shelf Android smartphone sporting the rare portrait style QWERTY form factor. Originally, the handset was launched with a $179.99 on-contract price, but now that it’s set below $100, it might gain some attraction amongst customers. Therefore, if you feel like taking sides with the Motorola DROID Pro, despite making the rounds for some time now, you’ll find it new pricing more than appreciable. 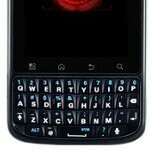 it may also be because the launch of the Droid X2 is imminent. i saw the Trophy myself today at Best Buy so the rumor of the Droid X2, The Revolution and the Trophey launching Thursday might be accurate and to offer the Pro a mere $30 difference from the Dual-Core touting X2 would be a poor business move. 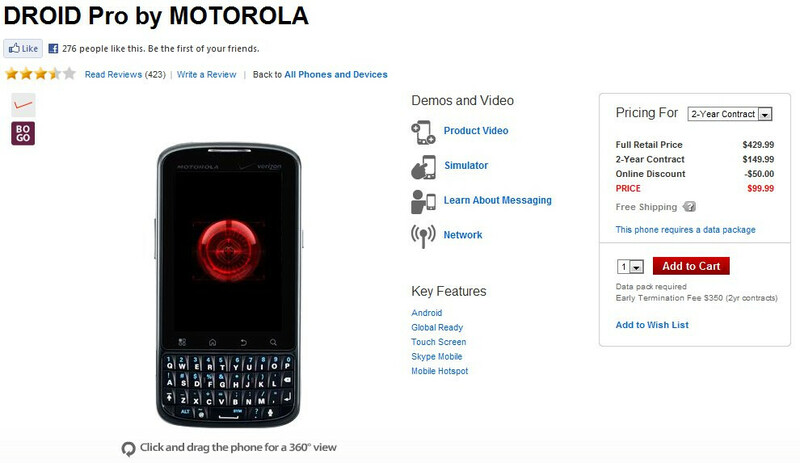 For a blackberry beater, that's a hell of a price. i wish i can stay on verizon... but once my contract ends, hello to sprint and an evo shift 4g... but i heard theres a droid pro on sprint soon... hope its the same phone, and price! better camera, world phone, and bigger screen than a blackberry, and android! As far as I have read, it (the XPRT) is the same exact specs. June 5th is the date Phone Arena has listed for the Sprint launch.